Since the first Impact Hub was founded in 2005 in London, the Impact Hub Network has become the world’s largest community and accelerator for social change. Today, local startup communities fuel and mobilize innovation at more than 100 Impact Hubs in more than 50 countries. CKX was invited to help facilitate the 2018 Global Impact Hub Strategy Gathering and host conversations about Impact Hub’s culture and future. More than 100 people representing 55 Impact Hubs gathered in Ottawa to discuss how they can inspire and enable each other as a global network, how they can create a collaborative ecosystem for entrepreneurial social change, and how they can collectively leverage their strengths to become a platform for systemic impact greater than the sum of its parts. 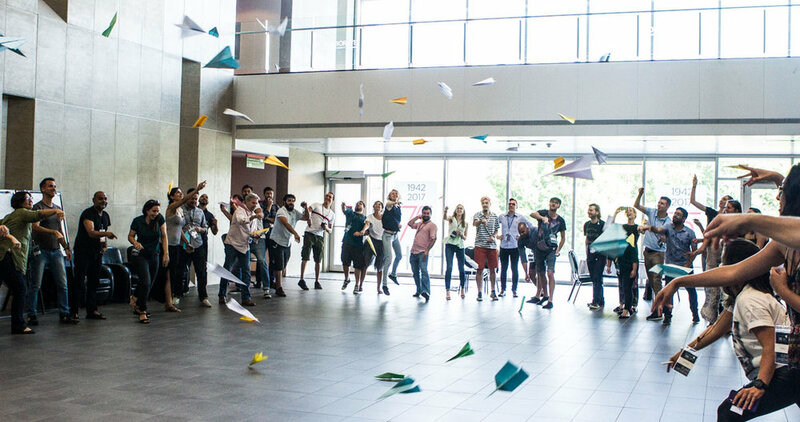 CKX crafted the gathering around reflective practices, engaging Impact Hub members’ minds and hearts to identify ways of moving forward collectively. Together, we reflected on the Impact Hub’s values and how these values could translate into behaviours and actions to address challenges facing the network. Throughout the strategy gathering, Impact Hub members demonstrated their commitment to move toward collective ways of working that can embrace the ambiguity of an emergent global social innovation community, the diverse nature of Impact Hubs around the world, and their shared commitment to transformative social change. Together, members imagined a renewed way of working that serves Impact Hub as an interconnected Association of business partners, a network of enablers, and a movement for entrepreneurial action for impact.